In 2008, Xavier president Michael J. Graham, S.J., signed the American College and University Presidents Climate Commitment, now Second Nature a promise to strive to become climate neutral. Over 650 universities have pledged their commitment, which requires the development and execution of a Climate Action Plan to address sustainability on-campus. 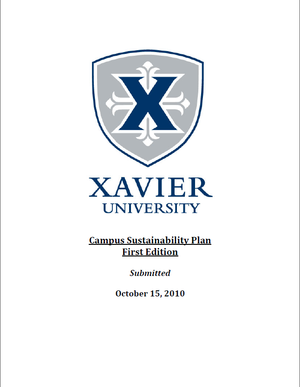 In March 2008, Xavier University created the Sustainability Committee in response to the requirements of the Second Nature, (formerly ACUPCC). The group, which represents a cross-section of the campus community, was charged with the long-term goal of developing a comprehensive plan for achieving climate neutrality and the short-term goal of initiating tangible actions to reduce the emission of greenhouse gases. The target date for the first plan was spring 2010. At campus feedback sessions held in 2009, ideas and wishes were gathered from all constituents. The Climate Action Plan was created and submitted to Second Nature in 2010. A revised plan, with the next generation of information and ideas was submitted in 2016, with more updates forthcoming. The Sustainability Committee is actively seeking ideas and suggestions from the campus community. We are working to reduce energy use, reduce transportation costs, increase green space, steward water and organic materials, and to make our purchasing and maintenance practices more sustainable. What do you wish could be done on Campus? Do you have any ideas to save resources - both natural and financial - and make our campus more equitable? 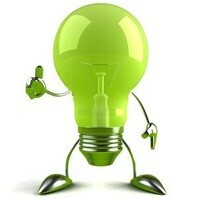 To share an idea, contact the Sustainability Committee at any time. You are cordially invited to come to a meeting, pitch your idea and help make it happen. We appreciate the rich experience and intelligence of the campus community.